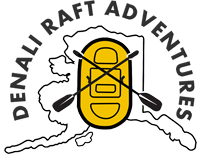 This application form is for those interested in becoming a river guide at Denali Raft. For other careers, see the general application form. We are looking for team players who are friendly, outgoing people that enjoy talking with people and that do not mind working long days. We are looking for guides that have past commercial rafting experience, CPR, 1st aid and swift water rescue, prep and row three 2 hour trips a day, five days a week. The three trip times will vary daily depending on how many people are booked the night before. Other duties maybe assigned such as property and gear maintenance. Please e-mail us for job qualifications. Qualifications - I have previous commercial raft experience, valid 1st Aid, CPR and Swift-water Rescue. I am at least 21 years of age and have at least three years driving experience with no more than two minor driving violations and I will be able to pass a physical exam as mandated by the Federal Department of Transportation. I am willing to live in the Denali Park area, either in our employee camp or local housing. Due to our remote location all employees must be able to drive company vehicles and be acceptable to our insurance company. I am available to work approximately May 20 to Sept 10th for raft positions.